According to their portrayal in movies and TV, the chief purpose of suppressors (aka “silencers”) is quiet, quick mafia assassinations, silently dispatching the guards in a casino, or storming a jungle compound in camouflage face paint. And whenever suppressors are used, they make that whisper-quiet spit-hiss noise that you wouldn’t hear in the next room. Of course, the reality is quite a bit different in most ways. For one, suppressors do have a place outside of the TV and film world of secret agents and covert warfare. At firing ranges in Europe, for instance, suppressors were not only common but often required to minimize noise pollution. The same principle has inspired tens of thousands of gun owners in the United States to purchase suppressors. They have also become increasingly popular for hunting. That popularity raises a few practical questions. First, why are suppressors becoming so popular? And, if there some calibers (and loads) that are better suited for use with suppressors (and there are), what are they? During World War II, the British took full advantage of the .45 ACP being subsonic by producing the “De Lisle carbine,” a commando carbine fitted with an integrated (internal) suppressor for their special forces. It is reported to be one of the quietest firearms ever produced. The difference is that a bullet breaking the sound barrier produces a pronounced crack that a suppressor can do nothing to suppress. That’s not to say that suppressors are rendered useless by supersonic ammo, their effectiveness is simply limited by it. A great option for suppressed rifle shooting is .300 AAC Blackout. The Blackout is the result of military brass looking for a subsonic caliber that could be effectively suppressed but packed a solid punch for close-range combat. The 5.56 NATO cartridge and its civilian cousin, the .223 Remington, are traditionally supersonic and therefore less effectively suppressed. (Although, once more, subsonic 5.56 NATO and .223 Remington cartridges are available.) That has made the .300 AAC Blackout an extremely popular suppressed hunting load for mid-to-large-sized game at medium distance. Since situational awareness, including uninhibited hearing, is often important to hunters, it’s clear why suppressed hunting is becoming as popular as it is. 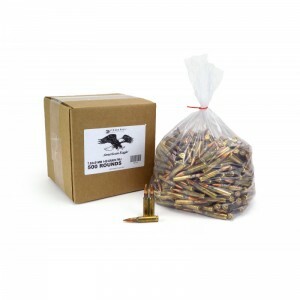 Ammunition Depot is the premier source for buying ammunition (and now guns) online. If you have or are looking for a firearm and the means to load it, Ammunition Depot no doubt has you covered. Whether you need 6.5 Grendel, 1,000 rounds of .22 LR, bulk .223 5.56 ammo, or 9mm ammo for sale, you’ll find it online at Ammunition Depot. They’re as passionate as you are about firearms, shooting rights, our freedoms guaranteed in the Constitution, and always giving back. That’s why they remain proud to donate to law enforcement charities and those for the troops, why they support shooting sports, and why they’re committed to promoting employment growth in Florida, their home state (emphasizing the hiring of vets).